I got some questions regarding myself and as I said in the previous post, I will try to answer them now. Before Poker and Magic: The Gathering were part of my life, I was a lot into games and computers. I always enjoyed playing board games with my friends and family, as well as computer games. During high school, I represented my country 3x in the International Olympiad in Informatics and after that I decided to get a degree with a major in Computer Science and a minor on Math. I started playing Poker in 2005, when I heard that many Magic: The Gathering players were doing well at it. I was a "bonus whore" like everyone else back then and played mostly FL Texas Hold'em. The first Poker book I read was "Internet Texas Hold'em: Winning Strategies from an Internet Pro". In 2005 I also played my first Magic: The Gathering World Championship and finished 8th, getting $7500, which was a lot of money for a 19 years old student. On the 16th of February of 2007 I played my first tournament on PokerStars, which was a $6 45man and luckily I won! I played some more $6 and $11 and one $25, ending the month with a profit of $501. In July I won a $11+r and got a huge bankroll boost. Then, I decided to invest some money in learning sngs, as I wanted a steady source of income and registered at pokerxfactor to watch sngs videos from the top pros. 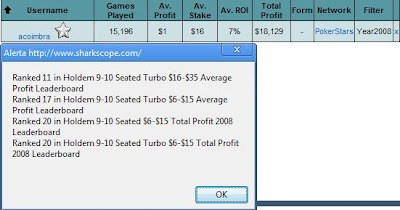 Until September of 2008 I played mostly $6,5 and $16 9man sngs, as a parttime job and they paid my bills. That's when I finished my degree. As I was doing well at the low stakes for more than a year, I decided to try playing Poker on a professional level. I started with a $200 Bankroll on PokerStars and played around 10h/day of $6,5 9man sngs, until I got my bankroll big enough to play the $16s, then the $27s, then the $38s and by the end of 2008 I reached Supernova status. 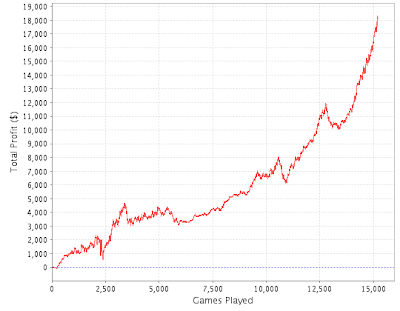 In 2009 I started my quest for SNE and it was a really tough year, where I dedicated most of my time to Poker. I played 9man sngs from $38 to $530, steps from step2 to step6 and 18man/45man/180man from $27 to $114. PokerStars left a message on all the Supernova+ players lobby, inviting them to apply for their new team. I really liked the idea, so I filled in the form right away. In November, just before MTG Worlds I got a mail from PokerStars saying that I made it intothe team! In 2009 I still had an invitation to a Magic The Gathering tournament of my choice for 2009, so I chose the World Championship and was lucky enough to win it, becoming the first Portuguese to win MTG Worlds and $45k. That week was huge: team pro + mtg world champion! Too bad I couldn't tell anyone about my contract with Pokerstars, since they wanted to announce it later on. In December PokerStars announced their new Online team and I finally reached Supernova Elite status. Q: How do you feel about the fact that a lot of players look up to you as a rolemodel? A: It's still something new for me, it feels good, but it's an extra responsibility. Also, because of this I tend to focus more on my Poker goals and how to achieve them. Q: Tips for mtg tournaments and differences between mtg and Poker tournaments? A: Playtest as much as you can against better players and try to stay calm. Poker tournaments have older players overall and I will quote my friend Javier Dominguez here: "Casinos are the magic stores for adults". Q: For a new player is it more important to play more or study more? Do you study a lot? A: It is more important to study for sure I recommend something like 75% studying, 25% playing. As for me, I don't study as much as I should, because it's hard to study a lot when you are trying to make/maintain SNE. However, I do study on a weekly basis and more often when I'm learning a new game. Q: I have $50, do you recommend to play cash games or sngs? What buy-in? I prefer sngs! A: If you prefer sngs, play sngs, wouldn't play anything higher than $1 though. Q: How do you see your future in poker? Do you see yourself grinding your life out? Do you ever wish you had a standard professional career? Aren't you afraid that one day you'll find poker fun no more and then it will be too late to start doing something else? A: I will probably play poker in the next few years. I don't know if I will play Poker for the rest of my life, I just keep checking what is the best option for me and stick to it. If I wanted to have a standard professional career, I would have one. I don't find Poker fun, Poker is really interesting, but I see it as a source of income and not something to do on my free time. Right now I make so much more money playing Poker than I would do in a regular job, that in my opinion, it would be silly to have a regular job. Instead of doing an introductory post talking about me, I've decided to let people ask what they want to know about me and next week I will write a post that will be a compilation of the answers for the readers questions. If you want to ask one or more questions, just leave a comment. I will be the only one reading them and I won't mention who asked each question. I might not answer every question, but I will do my best to answer as many as possible.